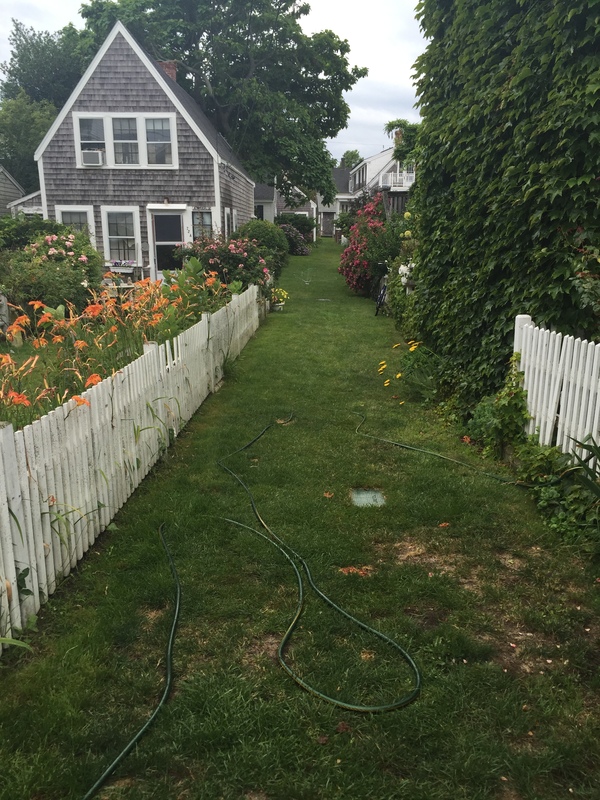 This little grass lane is across the street from where I stay in Provincetown. I took the photo this morning while I was waiting for my taxi. It reminds me of Nantucket–we had two summer vacations there when the kids were little. There was also a grassy lane–of mostly brown grass and dirt bordered by metal fences–that ran behind the houses in my grandparents’ neighborhood in Mobile, Alabama, where we used to go in the summer when I was little. As I just typed in the title of today’s post, I remembered a “summer journal” I used to have–not of my writing but of quotes and photos from magazines–beach houses, the ocean, rocking chairs on porches, pitchers of flowers, beach chairs, books, and did I mention beach houses?